After taking a bit of a hiatus, we are back in full swing and ready to blog. 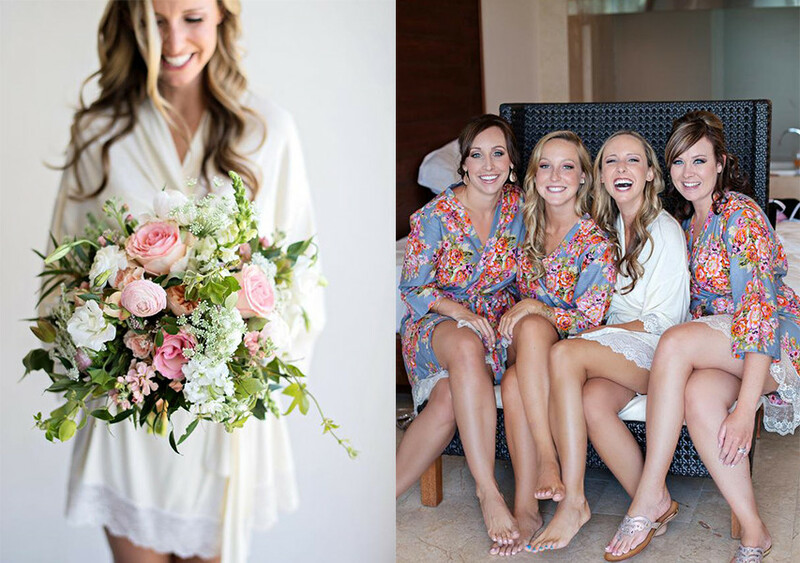 We have so many weddings, events, styled shoots, etc to share with you. 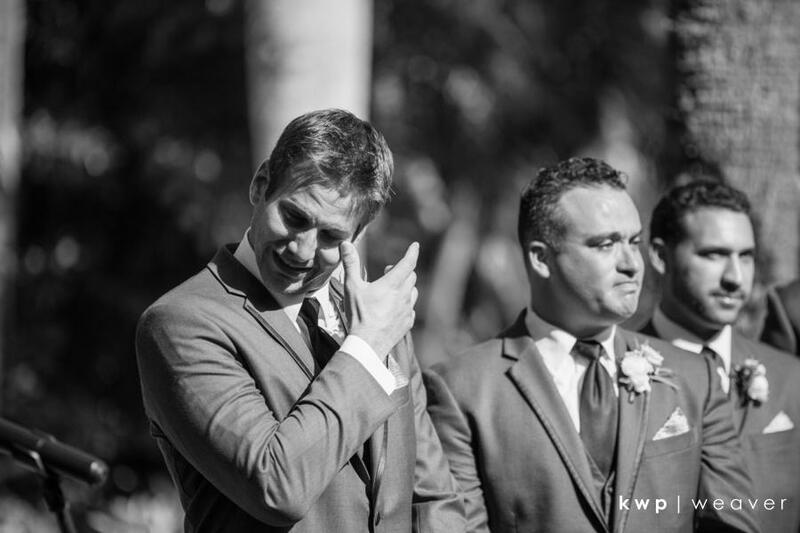 We are going to kick off the blog with Vero Beach wedding from this past May. 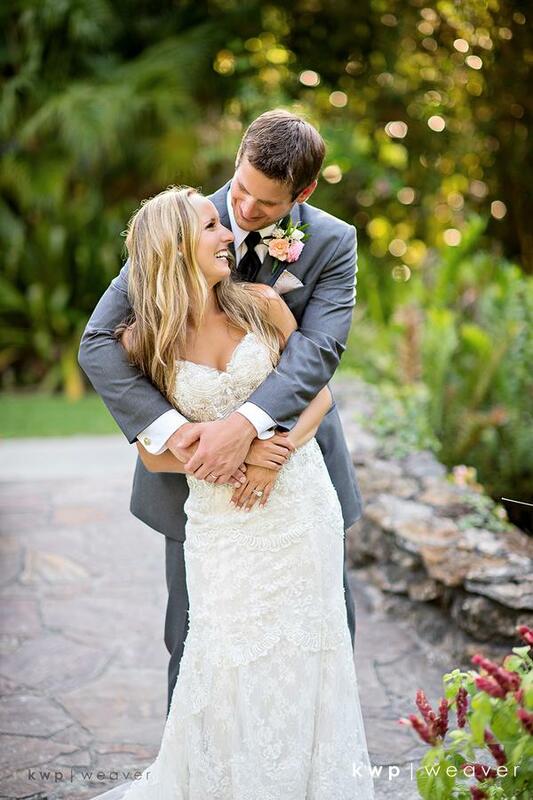 Erica & Austin’s garden ceremony and barn reception took place at McKee Botanical Garden in Vero Beach, FL. 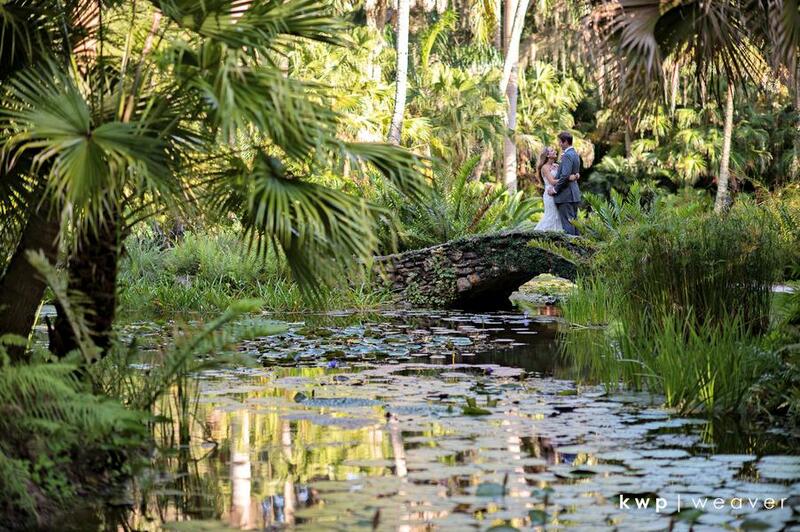 McKee features 10,000 native and tropical plants as well as one of the area’s largest collections of waterlilies, it truly is the perfect backdrop for gorgeous pictures. 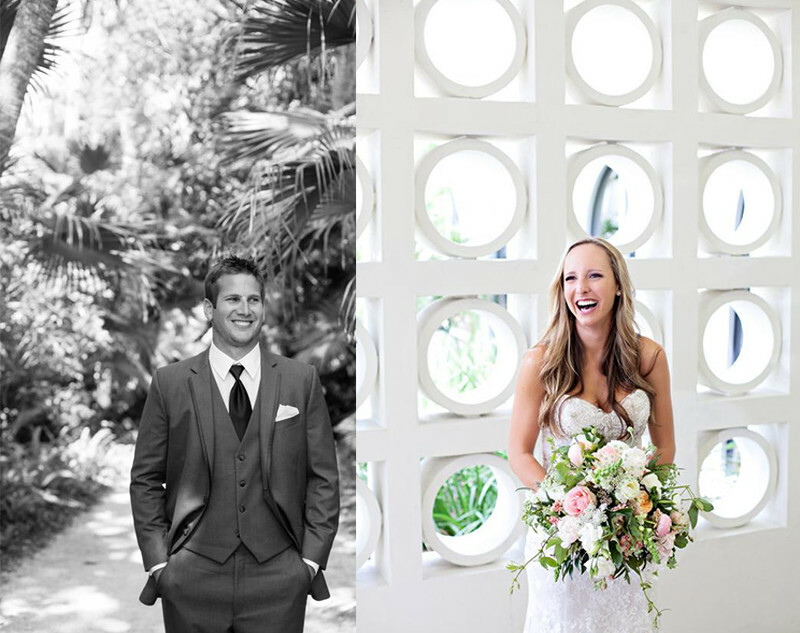 This couple sat down with Designer Rachel and gave her some direction with what they were wanting and then let her work some magic. The venue presented come constraints that had to be worked around. 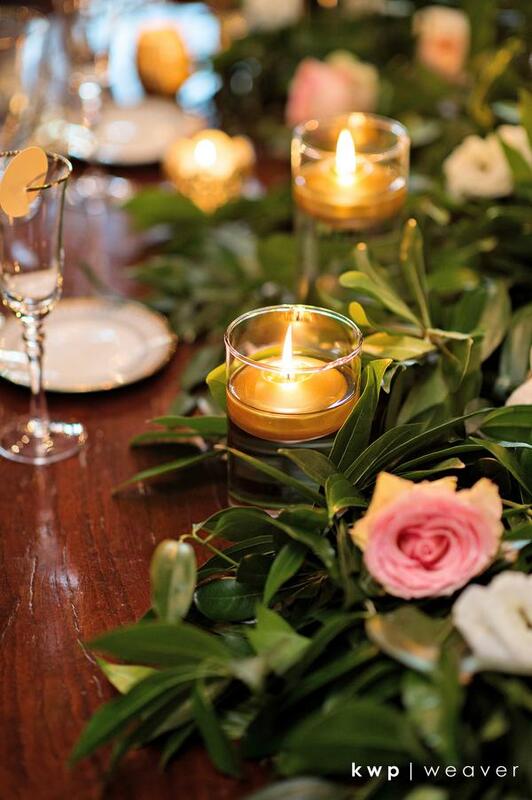 To start with, for the ceremony you are not allowed to use flowers. You can imagine how upsetting that can be for a bride to hear. 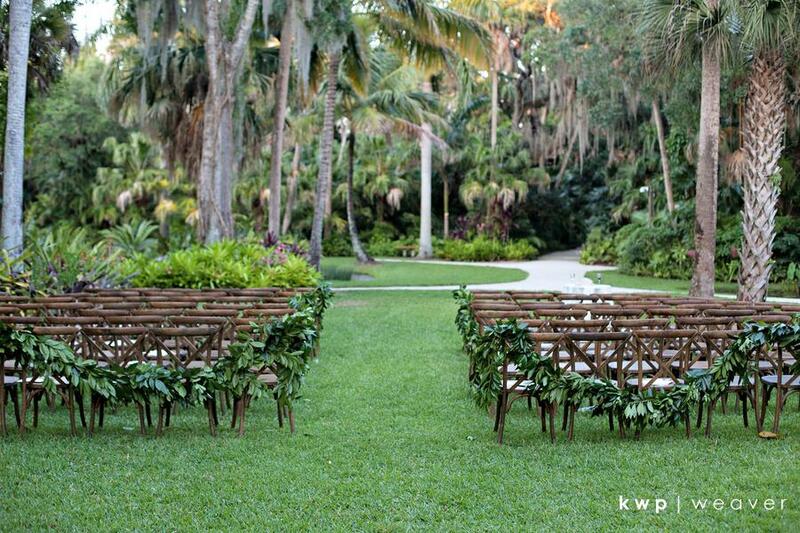 However we were able to bring in lots of greenery that created a natural look with the x-back french chairs. 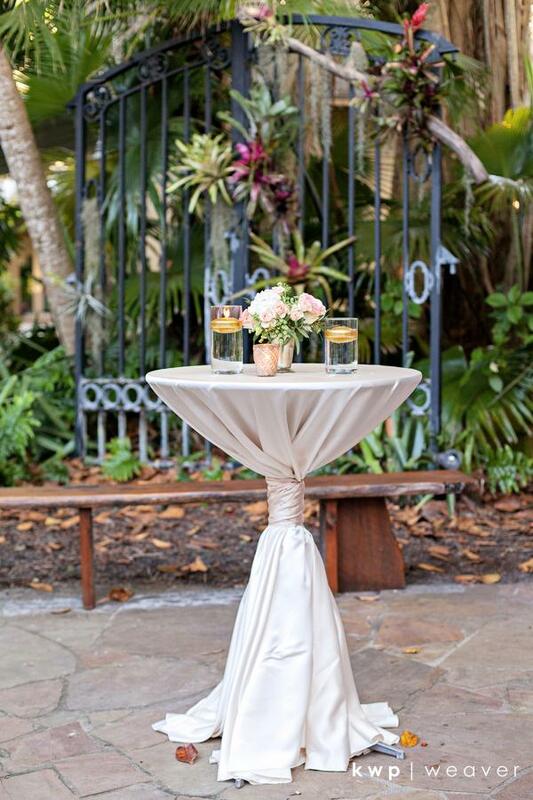 Since the venue has such lush gardens, this was perfectly simple but stunning. Cocktail hour took place in the Spanish Kitchen, which was located right outside of the Hall of Giants. We wanted to add some floral and greenery to the actual building since this was also where dancing would take place later on in the night. 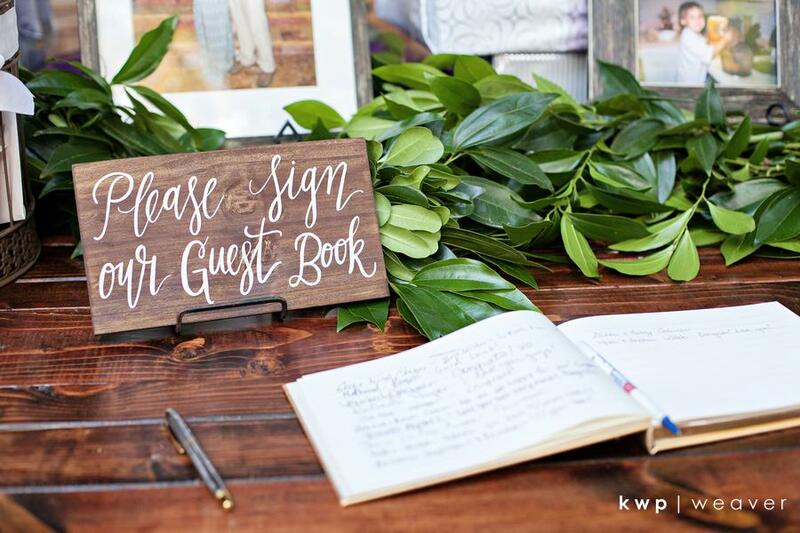 Pink Pelican Florist did an amazing job taking Rachel’s rough sketches and turning them into a reality. They hung the floral pieces from the top of the balcony and then they cascade down a little. 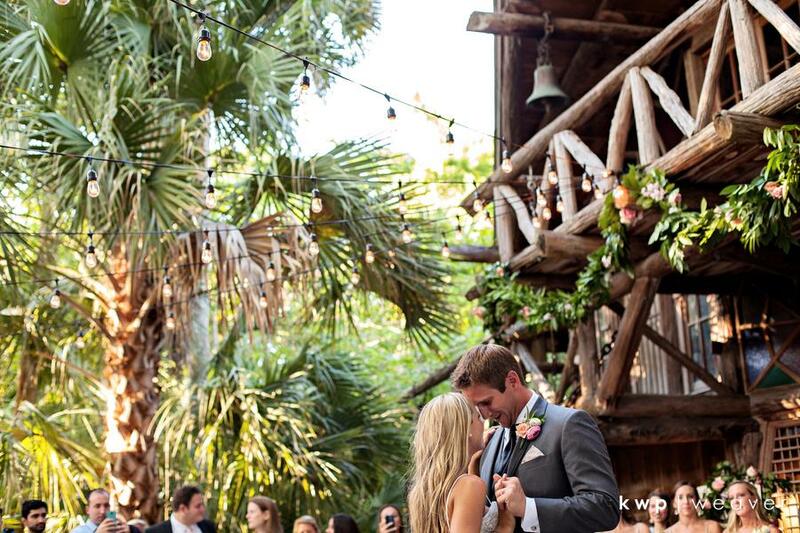 It was the perfect BACKDROP for all of the special moments that took place on the dance floor. Cocktail hour was also accented with custom chalkbaords to let guests know which table they would be dining at and also the delicious menu that they would get to enjoy. 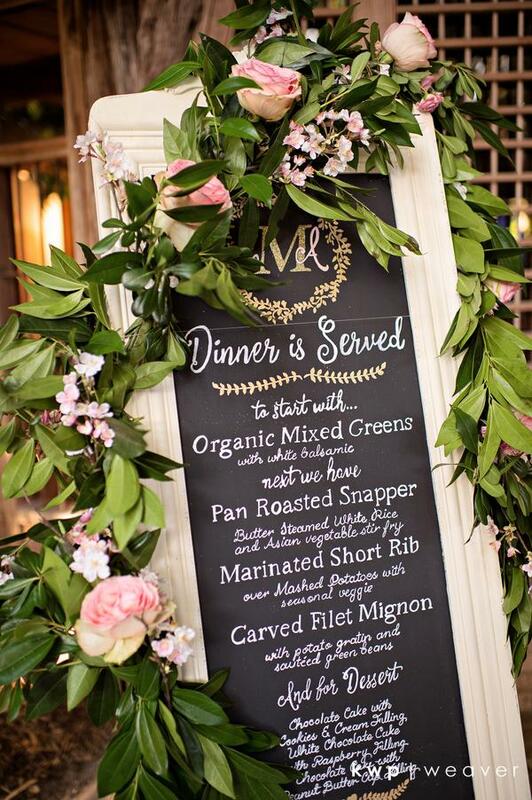 Susie Brown, a past AATR Mother of the Bride, created these chalkboards, complete with gold glitter. We wanted to add a little more to the boards so we asked Pink Pelican to garnish the boards with fresh floral. It really completed the look of the boards in the garden atmosphere. Mckee Botanical Gardens has a amazing space called the Hall of Giants. 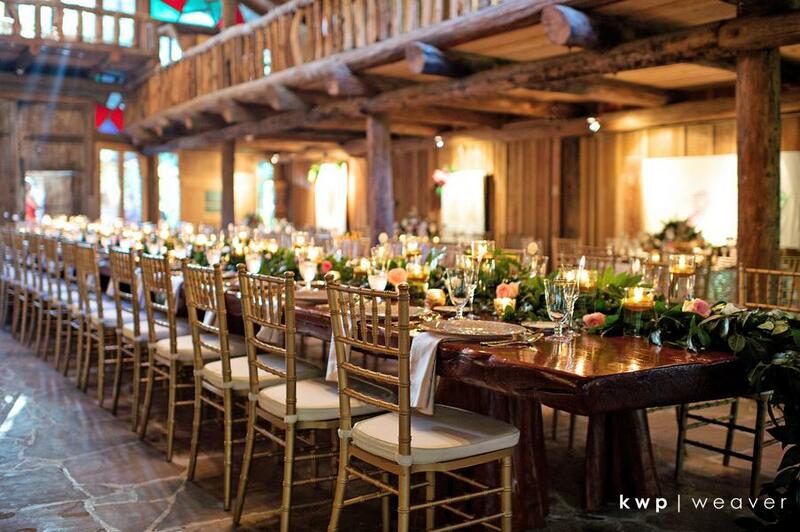 Complete with a 35′ mahogany table that is the largest in the world. 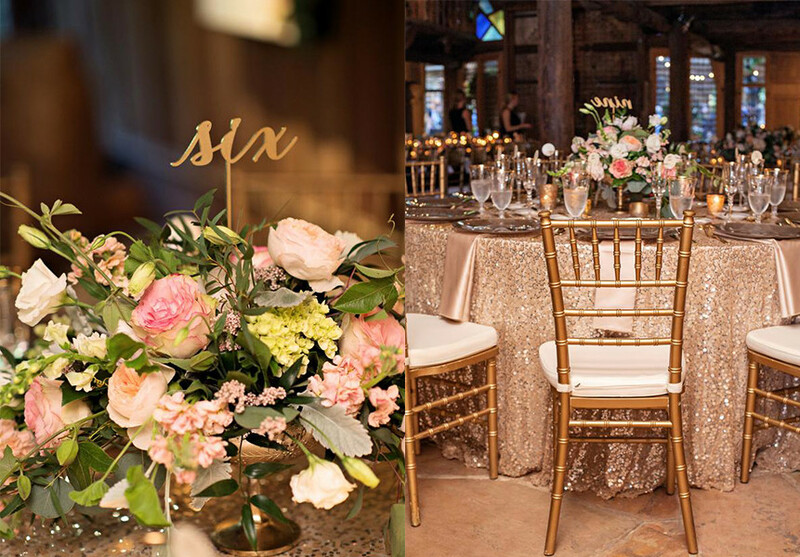 Since the bride wanted to add a little glamour to the reception, we brought in sequin linens for the surrounding tables, gold accented chargers, gold flatware, gold rimmed glasses, and even had some of the floral dipped in gold. 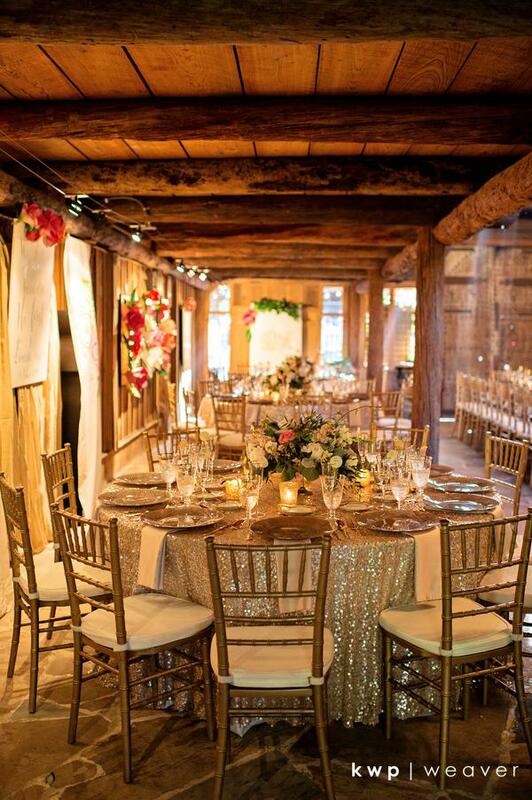 We also had gold chivaris chairs brought in to match all of the other gold details. I mentioned before that the venue does have a few obstacles that we had to work around. One of the main ones was the Hall of Giants is complete with over 15 boards that explain the history of Mckee and even two life size cutouts of historical figures in the area. Rachel had to be creative to cover these boards but in a way that didn’t make the space smaller. The first thought was to drape the entire inside, but this could not be done because the side of the building were to low for the drape poles. 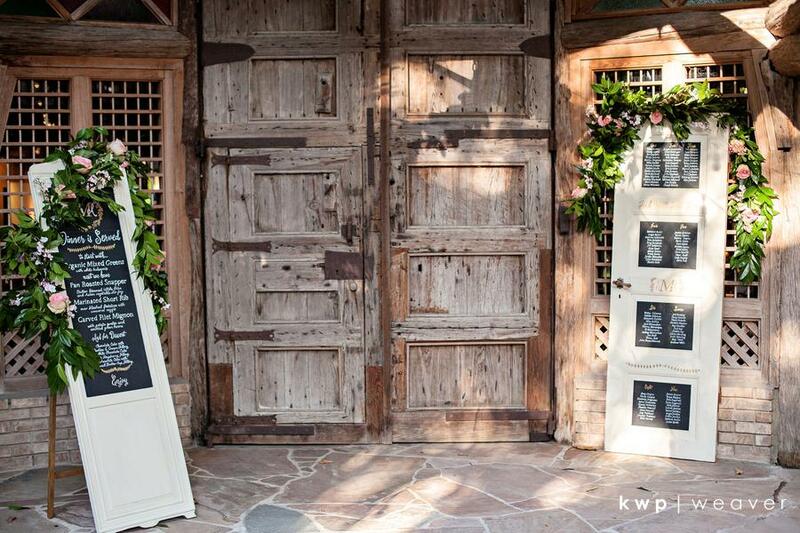 The final idea was to cover each board with another board that went with the decor of the wedding. 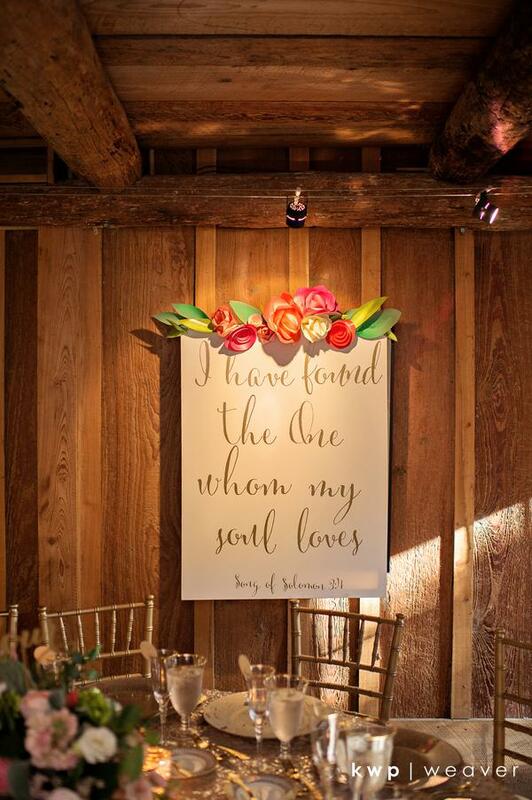 The bride came up with a few sayings that she wanted and they were put onto the boards with gold vinyl. There were also a few painted sheets that were used to hide the life size cutouts. Thank you to A Girl & Her Glitter we created these boards and the paper flowers that were attached to them. They also made for a great item that the bride and groom got to take and place in their new home. 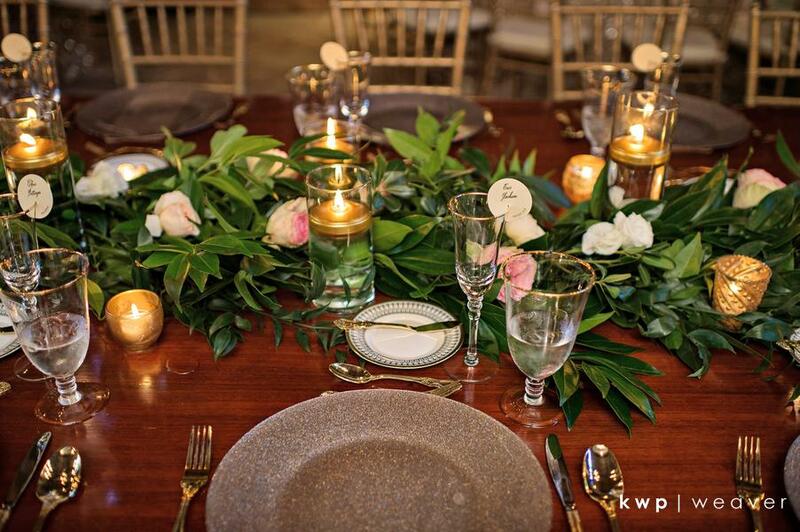 There were so many other great details that completed this wedding. 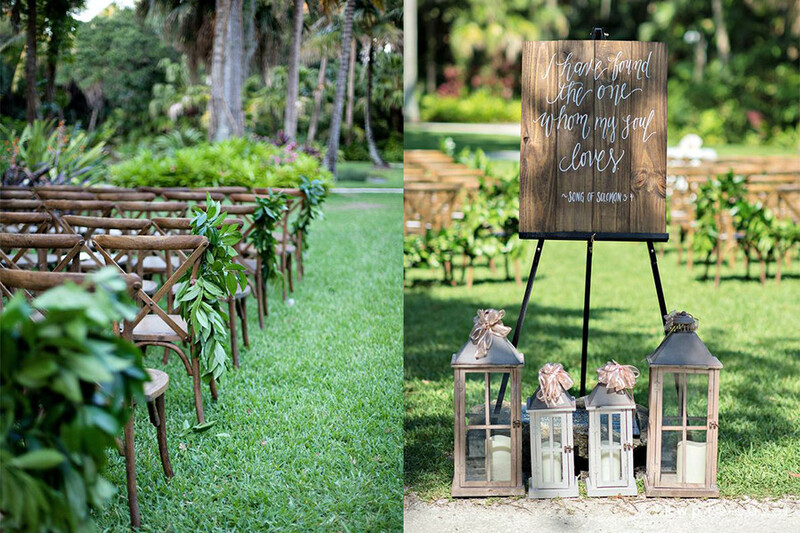 To start with the bride ordered these rustic signs that were placed all around the wedding. 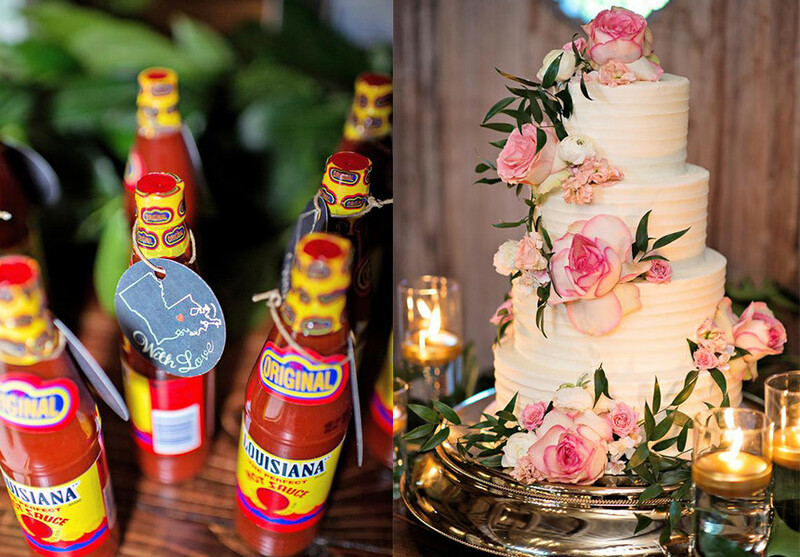 The favors for guests were adorable hot sauce bottles from Louisiana which is where the bride and groom moved to after they got married. 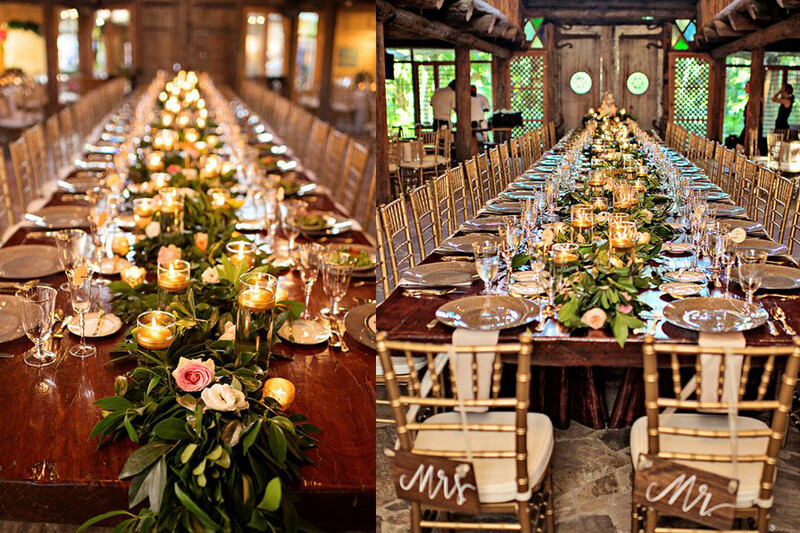 They were placed on top of beautiful farm tables from A Chair Affair. 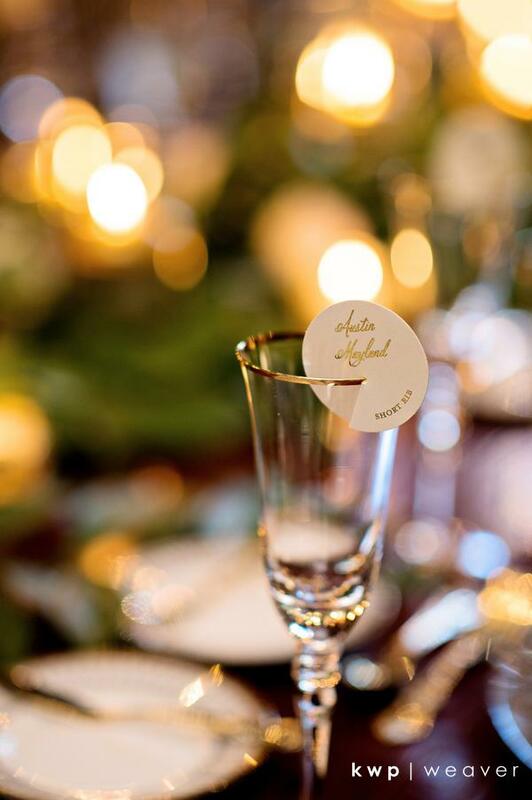 Another great detail was for the place cards, Denise from Dogwood Blossoms made the most elegant gold foiled cutouts to go on top of the champagne flutes. 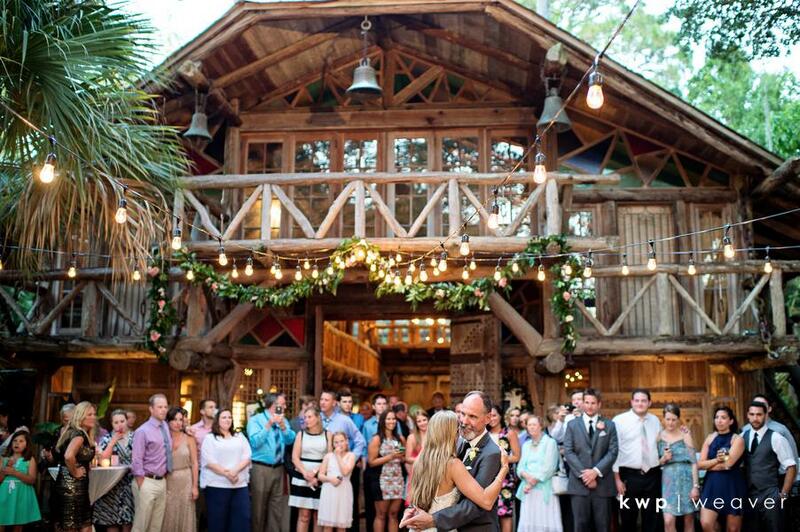 This wedding could not have come to fruition without all of the vendors involved.